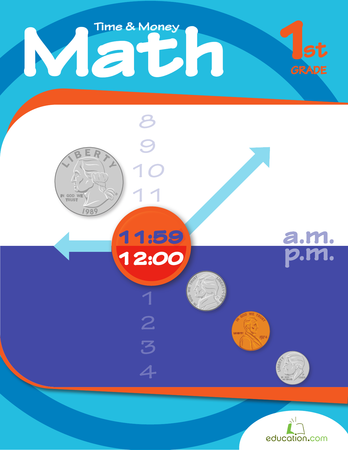 “On the hour, every hour” will gain new meaning for students as you use these materials to help them tell time to the hour. 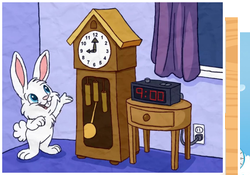 Games and crazy clocks make telling time fun and teaching time to the hour easy. 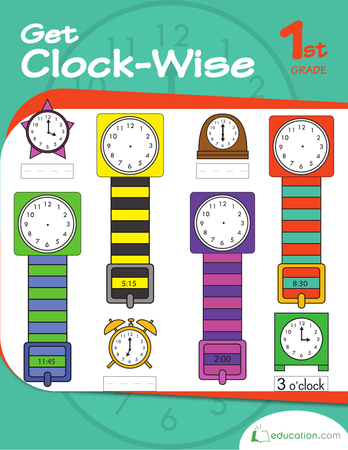 There are several worksheets to review telling time to the hour as well as workbooks dedicate to time. For more telling time materials, visit our resources on telling time to the Minute. 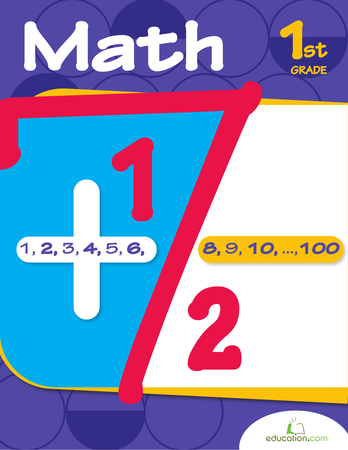 Kids learn to master telling time with analog clocks in this matching game. 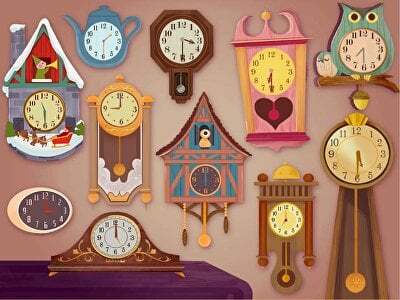 Your kid will listen, then locate the right clock in this time telling game. Uh oh, it looks like there's been a time mix up! 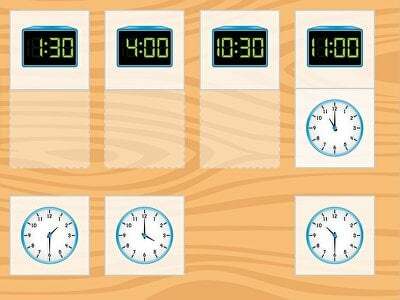 Have some fun figuring out analog clocks with your student. These busy bees need some help getting their honey delivered in time. Carlos Cat is here to help your first grader review time. 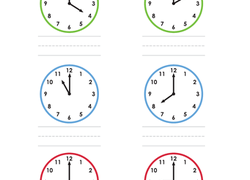 For this year two maths worksheet, kids look at each analog clock, determine the time, and write the time in the spaces provided. 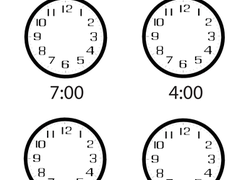 Telling Time: A.M. or P.M.? Help your child understand a.m. and p.m. by having her read each sentence, then determine if the event happened before noon (a.m.) or after noon (p.m.). It's about time to learn about time! 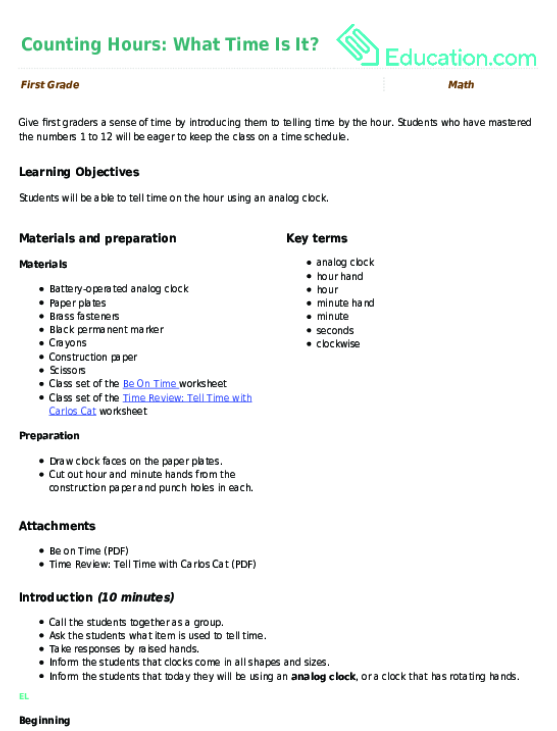 Your students will interact with a class made clock and roll the dice to 'make up' a time. But they better know their hour and minute hands apart to find success in this lesson! Don't get lost in a digital world! 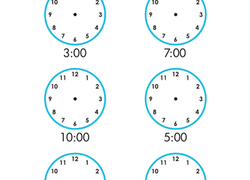 practise telling time to the hour on an analog clock using this colorful worksheet. 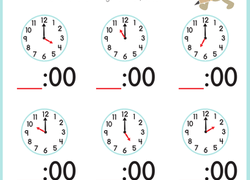 For this year two maths worksheet, kids practise telling time by reading digital time and converting it to analog by drawing hands on the face of a clock. 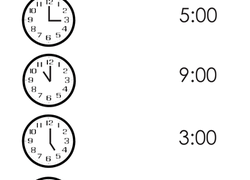 Let's find the time with this beginner's worksheet on reading analog clocks. 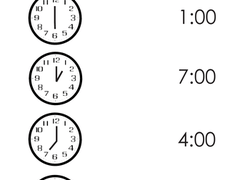 Challenge kids to think outside the digital box with these analog clock worksheets. Draw the time, write it in words, do match-ups and more. Kids will look at the hour, half-hour and quarter-hour. 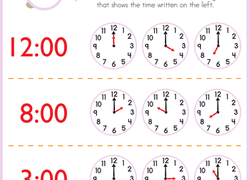 Help your child practise his time telling with this printable worksheet, which focuses on whole hours.